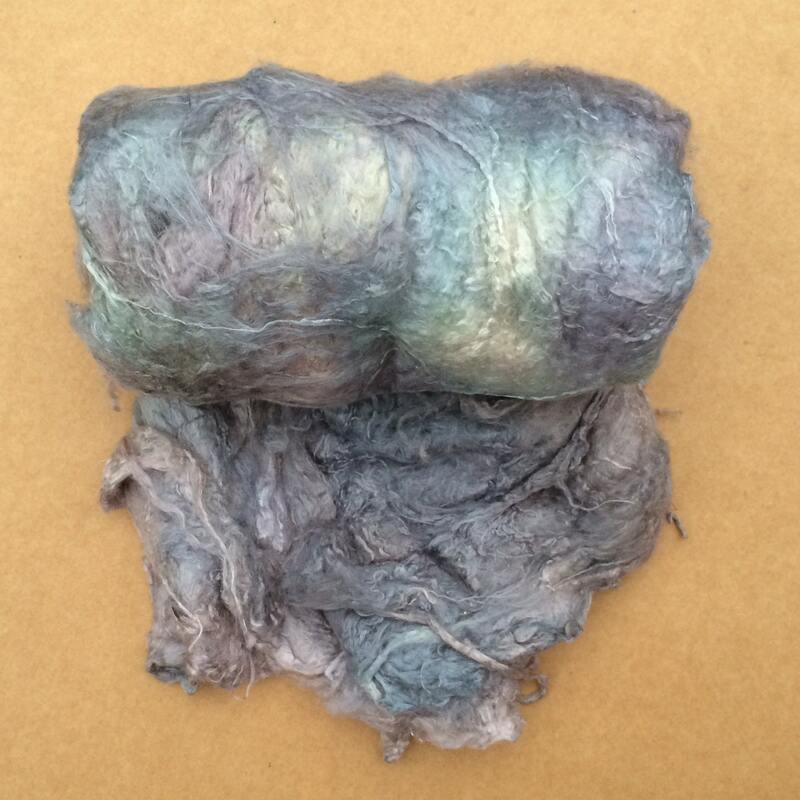 Top quality Mulberry Silk Laps hand dyed by Oliver Twists. Colour No.56 Pebble - various tones of light Grey with touches of Lemon and Pink. 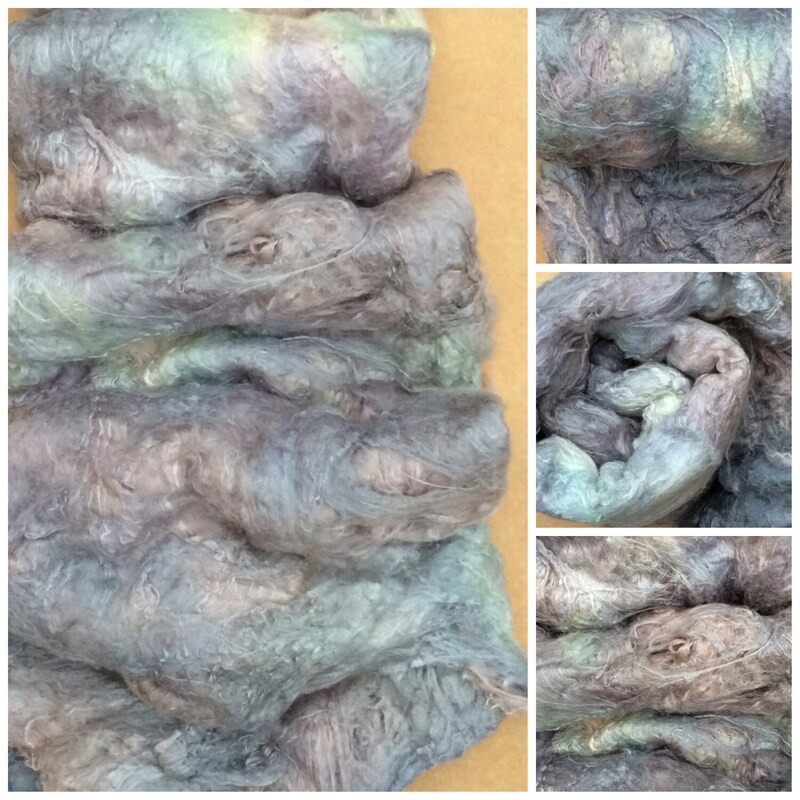 Please be aware that the photographs represent a large piece of Silk Laps - probably over 100g (3.5 ounces) if you order a smaller quantity by weight, such as 5g, 10g, 30g or 50g, you will receive a smaller piece and the colour variations may be reduced also. 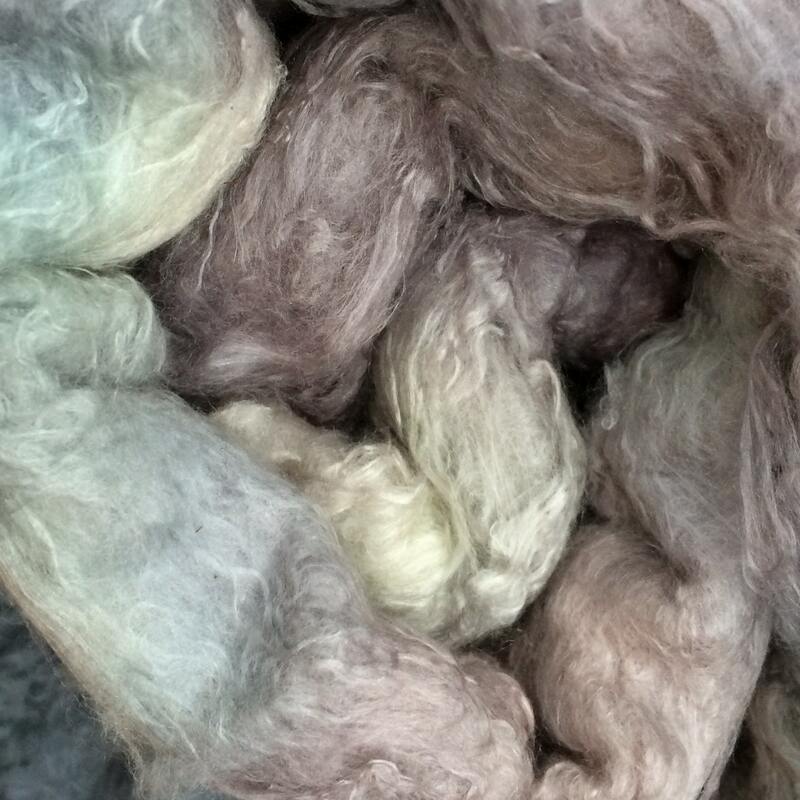 These silk laps are produced whilst carding the silk fibres in readiness for spinning into yarn; they have a short staple length and lots of texture. 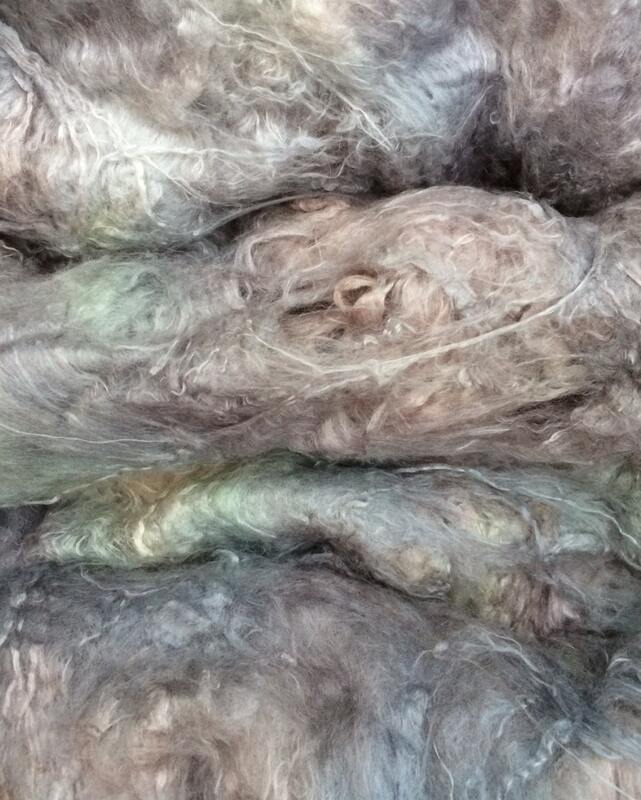 The silk fibres are fed into an industrial drum carder and at the end of the day the carder is all matted up (a bit like a hairbrush) the lap is then peeled from the drum in a flat sheet. A full lap measures about 4 feet by 8 feet, weighs approximately 1.2 kilos and is so called because it is one lap of the drum carder. These Silk Laps are a little different to our usual batch (No.1) - they have a shorter staple length and quite a few textural inclusions. We think maybe these were deliberately made rather than created as a bi-product. We break the lap down into smaller pieces, but it still comes in the form of a flat sheet. The silk laps are especially good for felt makers to include with wool whilst wet felting to create added texture and lustre. 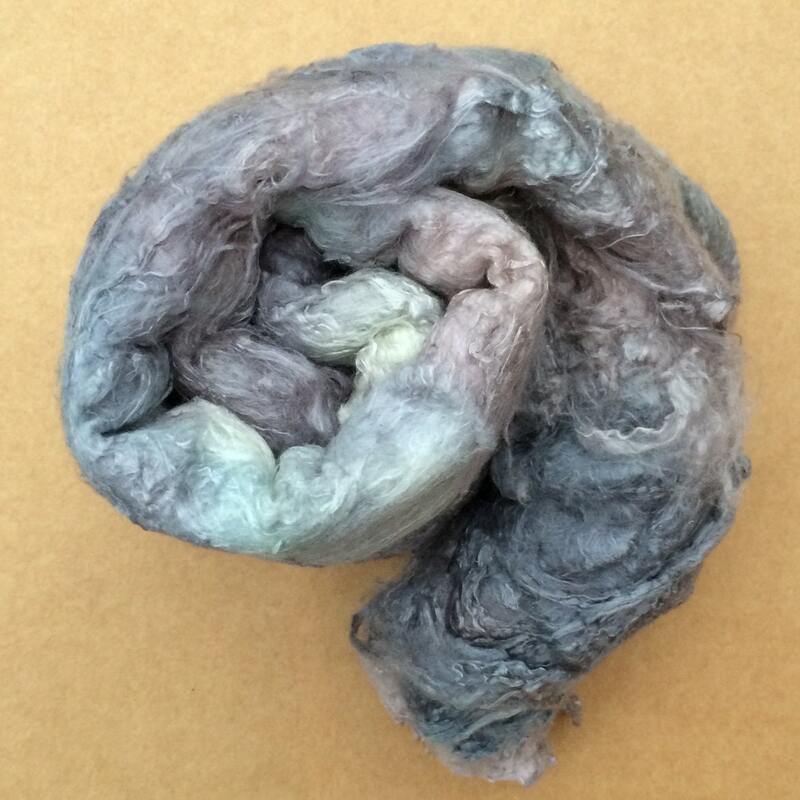 The laps are also suitable for carding with other fibres for spinning into yarn needefelting, silk paper making (Silk Fusion), mixed media techniques, embroidery and scrapbooking.